We know that some of you will have your own personal reasons to fundraise for other charities and you will all have our full support - but if you're wondering who to raise money for we'd encourage you to consider H4H. 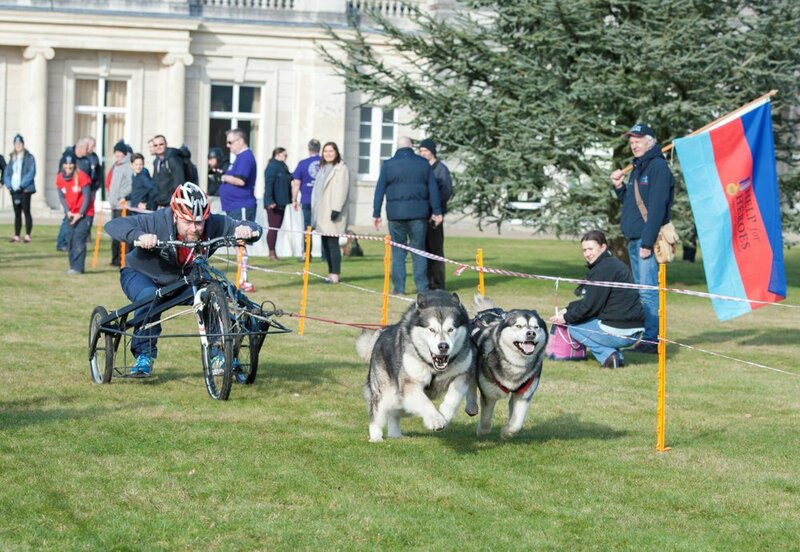 So, who are Help for Heroes, what are they all about and why are we supporting them? 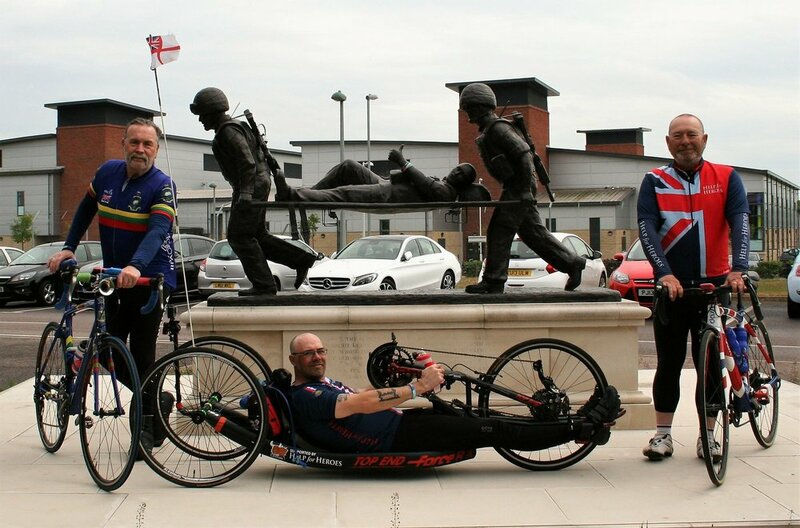 H4H introduce themselves below and Jon, one of our volunteer organisers, has written a blog post about supporting H4H. Please take the time to watch the video of Si and Tempy at the bottom of this page, she is a truly remarkable young lady. Help for Heroes is founded on the belief that those who put their lives on the line for us, deserve a second chance at life for them and their families. We provide recovery & support for Service Personnel and Veterans whose lives have been affected by their service, for wounds both visible and hidden, no matter when they served. Everything we do - every penny we raise, every person hired, every facility opened, every treatment offered, is done so with the express purpose of empowering veterans. Every course and activity we offer aims to empower them to look beyond illness and injury, regain their purpose, reach their potential and have a positive impact on society. There are thousands of Servicemen and women who will need our support. They live with complex wounds and injuries – both physical and mental – and are looking to regain their purpose in life. After all, we are talking about people more skilled than most, more disciplined than most, more collaborative than most and with more pride than most who can use their skills for the good of society. Each recovery journey is individual and whatever their needs, our Heroes can regain their sense of purpose and focus on what they can do – not what they can’t. They choose what is right for them; all we do is help unleash the full force of these expert minds, skilled bodies and courageous hearts to enable them to live fulfilling lives. Whether that is winning medals at the Paralympics or providing for their family; these all benefit and inspire our community. We are a vast network of professionals and partners, we help our Veterans and their families through physical and emotional rehabilitation, identifying new career opportunities as well as financial and welfare support. We know that those who served together, recover better together- supporting each other, enjoying the camaraderie and sense of fellowship once more. We do all this at our four Help for Heroes Recovery Centres, in people’s homes and by supporting a network of charity partners and organisations. The Nation has united behind our Armed Forces. During our first 10 years, we’ve directly helped more than 17,000 individuals and their families in this way. Offering this to thousands more who need it remains possible thanks to our supporters, and specialist charity partners. In this moving video, Tempy Pattinson, 5½, from Darlington, talks to war veteran Simon Brown, (38½! ), after her wish to meet a ‘real-life’ soldier was granted by Help for Heroes. Si, from Morley in West Yorkshire, is one of at least 66,000 ex-military personnel with life-changing injuries and illnesses in the UK. When the two sat down together to share their stories, they discovered they had very different ideas of what makes someone a hero. "Tiny" Tempy told Si she had swum 100 metres and completed a triathlon in a bid to give something back to the heroic soldiers who put themselves in danger to keep her safe. But Si, who lost 80 per cent of his sight and had 25 operations to rebuild his shattered face after he was shot in Iraq, told Tempy it was supporters like her who were the real Heroes. In this extraordinary film, Si and Tempy show what it is that makes the bond between Help for Heroes and its supporters so special.